The convenience of disposable foam kits meets the efficiency of bulk systems in the CPDS™ Series 2 from Touch ’n Seal. The CPDS Series 2 is a portable, constant pressure spray foam dispensing system that dispenses Class A fire retardant, thermal insulating and sound attenuating 2-component polyurethane spray foam – up to 2-1/2 times as fast as foam kits. With minimal investment and training the CPDS Series 2 offers an ideal opportunity for business start-up or service expansion. And with less trash, less chemical waste, disposable cylinders, and no ozone depleting chemicals, means you can also feel good about your impact on the environment. Click here to view the video on how CPDS Series 2 Constant Pressure Dispensing System operates. The convenience of disposable foam kits meets the efficiency of bulk systems in the new CPDS™ Series 2 from Touch ’n Seal. 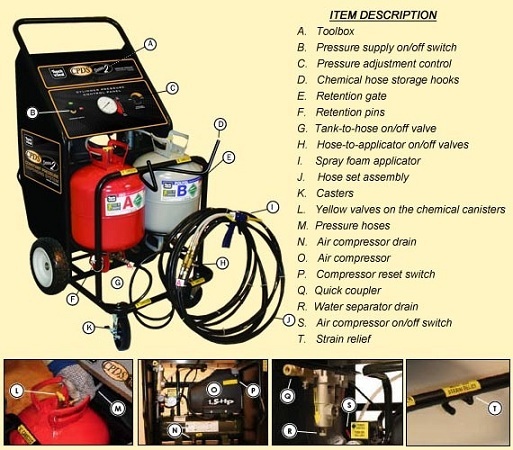 The CPDS Series 2 is a portable, constant pressure spray foam dispensing system that dispenses Class I fire retardant, thermal insulating and sound attenuating 2-component polyurethane spray foam – up to 2-1/2 times as fast as foam kits. With minimal investment and training the CPDS Series 2 offers an ideal opportunity for business start-up or service expansion. And with less trash, less chemical waste, disposable cylinders, and no ozone depleting chemicals, means you can also feel good about your impact on the environment. Click here to view the video on how CPDS Series 2 Constant Pressure Dispensing System operates. 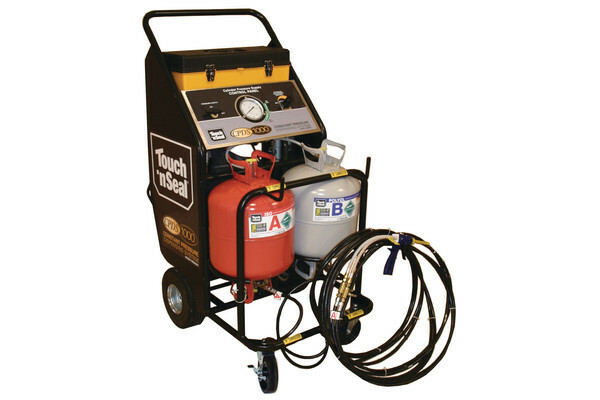 The Touch ‘n Seal CPDS Series 2 comes complete, ready to use, just add the appropriate “A” & “B” chemical cylinder set. The CPDS Series 2 comes with all necessary tools, an operational DVD, a 30’ chemical delivery hose set, 2 spray foam applicators, 50 disposable spray nozzles and a set of operational and maintenance manuals. The CPDS Series 2 is easily handled and transported by a single individual. It is ideal for those situations where a rig or bulk system is too much or disposable kits are too little. Chemical cylinder sets are available for both 1.75 pcf and 1.00 pcf Class 1, Fire Retardant polyurethane spray foam. * FOR USE WITH TNSCP750 (750 BD FT – CLOSED CELL) AND TNSCP1200 (1,200 BD FT – OPEN CELL) TWO COMPONENT FOAM KITS.